This summer, our lessons focus on how Jesus fulfilled the Law in the sense that it was given full meaning. Jesus emphasized the deep, underlying messages of the gospel; and this same message is continued through the apostle Paul and the writer of Hebrews. Relationships of faith empower us to live the covenant and spread the gospel message. The writer of the student book lessons is Kevin Baker; the teacher book writer is Timothy Bryan. The first unit, in four lessons, reveals a new sign of the covenant for Jewish and Gentile believers, as recorded in Matthew, Mark, Luke, Hebrews, and Colossians. During the celebration of the Passover, Jesus explained to the disciples that he would initiate a new covenant through his death. Paul explains that the sign of the covenant is now a relationship of the heart between God and God's people, not circumcision. The four lessons in this unit give new meaning and purpose to the Law. According to Matthew, Jesus began teaching the Law in a way that gave life to the hearer and the doer. Unlike other teachers of the Law, Jesus preached the transforming righteousness of the Kingdom. Jesus challenged the mere external observance of God's law without internal transformation. The four lessons in this unit focus on personal relationships between people in 1 Samuel, Ruth, and Ephesians. Ultimately, those relationships pave the way for the Messiah. After Christ established the New Testament church, relationships between people have been based on relationship with Christ Jesus. These relationships continue the work of Christ Jesus by spreading the gospel message. Register for the Forums at www.adultbiblestudies.com Bold, and you can post and read comments about the lessons from other readers. Wesleyan Consultation on Spirituality and a consulting reader for the Common English Bible. He has previously written for Adult Bible Studies, Adult Bible Studies Illustrated, Daily Bible Study, FaithLink, and the Bible People series (The Prophets). Tim lives in Colorado with his wife, Chris, and has two children and three grandchildren. 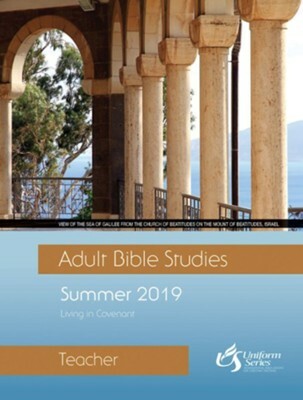 I'm the author/artist and I want to review Adult Bible Studies Summer 2019 Teacher - PDF download - eBook.